Mr. 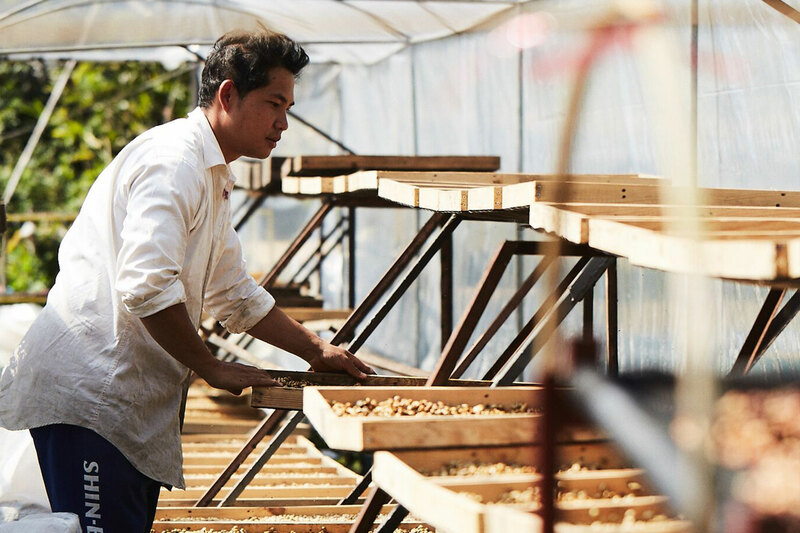 Roots: What were you doing before you became a coffee farmer? Nui: I was travelling quite often between Bangkok, Songkhla and the Isan region as an engineer. I’ve known P’Aoy for a long time because we studied together; we dated and then we moved to Chiang Mai after we were married. I guess we moved up here because we wanted to find stable jobs - I did a little engineering work before we decided to pursue our passion for coffee. Nui: I like the lifestyle of the people who live in Pang Pong. They don’t need anything fancy and they appreciate being close to nature. So close, in fact, they didn’t even have telephone signal until two years ago! Nui: We started 4-5 years ago and it all began because we were curious about the process of coffee making. 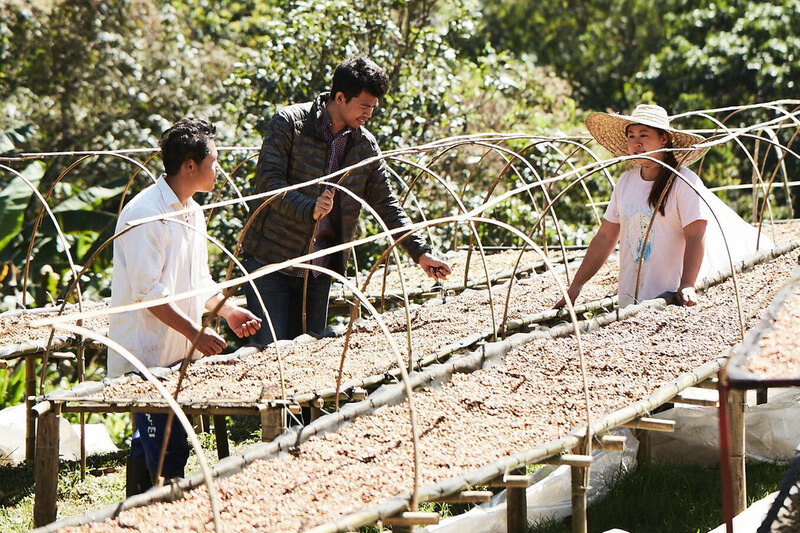 We knew that there’s so many steps involved in the production of coffee before you can serve it in a cup. It’s something that you can’t just do half-heartedly, and if you do it well, you get to make something truly amazing. You can learn more about what you’ve made from studying it, trying out different techniques and exchanging ideas with other people. I think it’s becoming a trend for younger generations now to return to their agricultural roots and find ways to make it more sustainable. Nui: I think coffee is something that makes our lives worth living. Nui: I think we’d still like to continue being coffee farmers. With more experience, I think we’ll be able to produce coffee with better quality at a more consistent production rate. We enjoy what we do and would like to keep going! Aoy: I like strong coffee, so cold espresso is ideal for me. But recently I’ve started to enjoy filter coffee more and more! Aoy: I used to think that my dream job is anything that makes me happy. But now, being able to look after my family is my priority. So the answer to this question is that I’d still choose coffee because it’s become such a huge part of our lives and is what binds us together. We can work and spend time together without being apart. Nui: My dream was to become a singer. Although thinking about it now, it’s probably better that I didn’t chase after that dream because every time I sing, Aoy would burst out laughing. She would say, “I’m not sure if you’re singing or crying!”. Nui: In truth, coffee isn’t just what’s in the cup. It’s got a life of its own; it goes through processes that involve lots of different people before it is served to the customers. So I guess, we’d like people to dig a little deeper into the coffee, understand its nature and its personality. 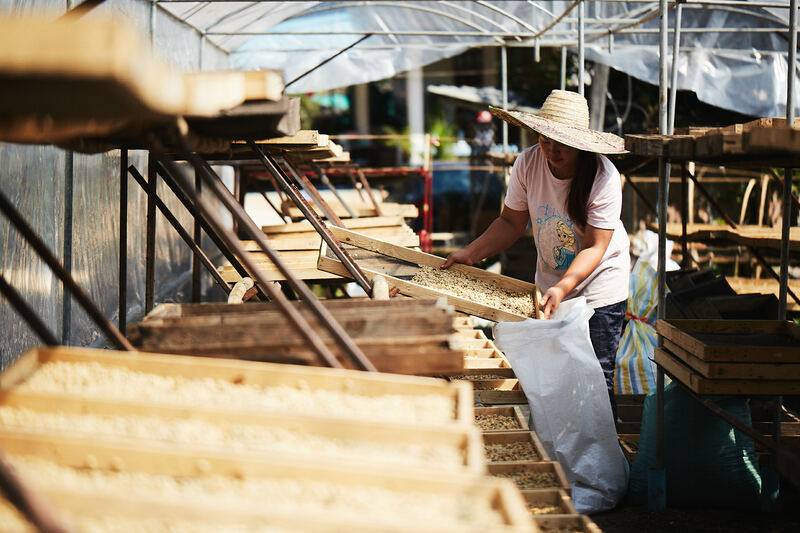 We also want the customers to see the true value of coffee and that they can play a big part in helping us bring out its true potential.